Use these wall add-ons for a more ghoulish look. 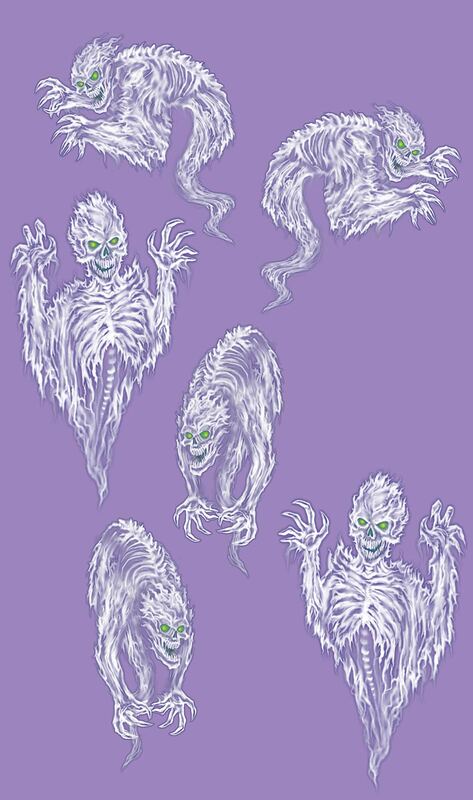 Package contains 6 Plastic Scary Spirit Ghouls Wall Decorations in different sizes. For indoor/outdoor use. Can be used alone or with other Backdrops, Borders, Add-Ons or Peel N Place decorations (all sold separately). Can be hung with your adhesive or tacks (not included) or use Sticky Tack (sold separately). Please Note: Add-Ons may need to be cut out separately.